Polk-A-Dots are cute on a whole range of items from your clothes to your dishware. Here we brought out our dots for a Sunday brunch. 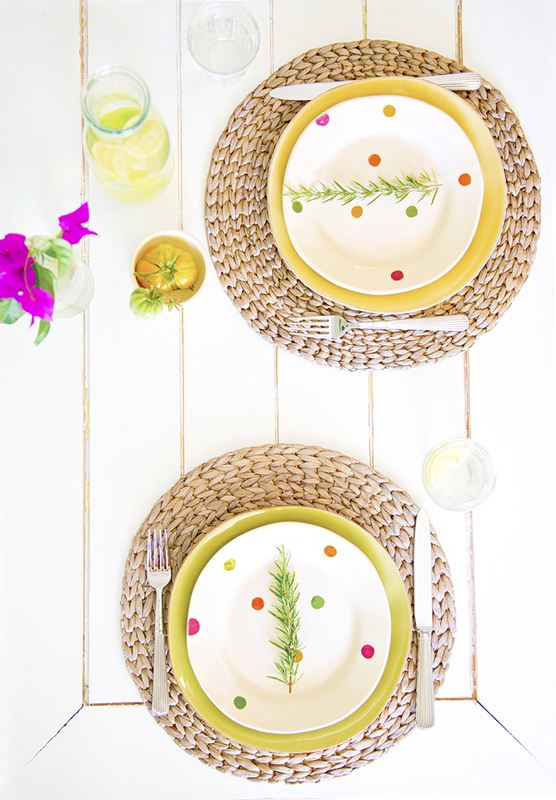 The vibrant colors in this dot pattern make it easy to use the plates for Summer, Spring, and Fall. Since we are nearing the end of Summer, we decided to mix in a touch of the upcoming Fall by using wicker placements and yellow heirloom tomatoes from our garden as part of the centerpiece. The pop of a bougainvillea flowers remind us of Summer as well as the fresh lemon water.